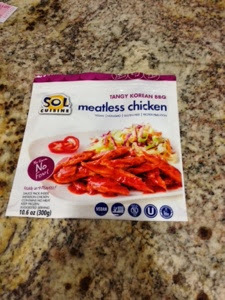 Sol Cuisine came out with this Tangy Korean BBQ chicken and it was really good! i ate it with Kimchi and rice. the sauce is great and the meatless chicken tasted really good.